We are very pleased to announce that Max Michel, Jr. is on Team MultiCam®. By anyone’s account, Max is one of the most dominant shooters in the world today. 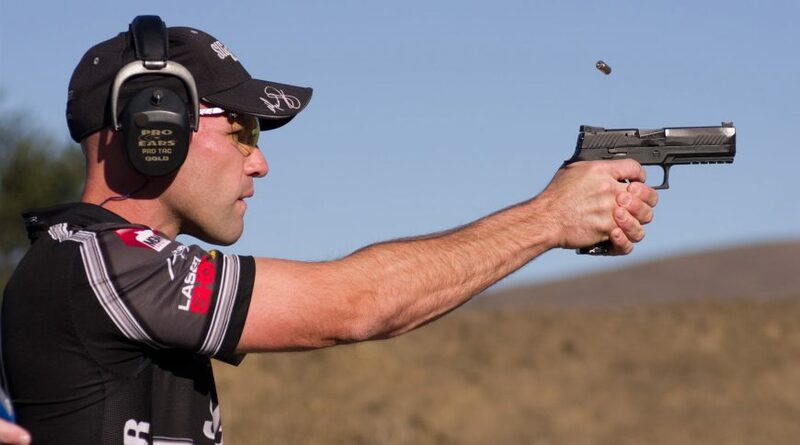 He is a Guinness World Record holder, IPSC World Champion, 7x World Speed Shooting champion, 10x USPSA National Champion, 5x US Steel National champion, and has more than 200 Major Championship victories. As an international competitor, Michel has represented the United States in the last seven International Practical Shooting Confederation (IPSC) World Shoots. During his 10 year US Army career, Staff Sergeant Michel’s duties included serving as the Military Coach of the Action Pistol Team at the US Army Marksmanship Unit, based in FT. Benning, GA. When not competing, Max serves as the SIG Sauer Team Captain to their shooting team, works with SIG SAUER Product Managers on their competitive gun offerings and teaches select shooting courses at the SIG SAUER Academy™. Max is a well respected member of the shooting sports world, whose experiences, along with his dedicated service to his country, truly make him an obvious addition to Team MultiCam®.